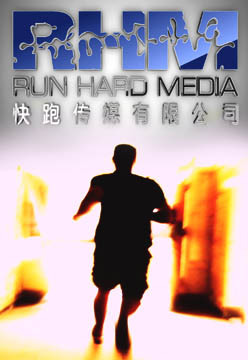 Run Hard Media has a long standing history in working with respected production companies in both television and film. We have a successful track record working directly with domestic and international television networks as well as Hollywood studios to produce and license popular content for television and film. Whether it’s representing our clients for brokering licensing and distribution deals for TV and Film or producing high quality content in cooperation with our clients and partners, RHM provides the highest level of production support at all levels of the production spectrum. We provide Film & Video Production and HD Post Production services. In addition, we provide, 3D animation, sound design and special effects. We have the experience and know how to deliver the highest quality full service production support to our clients. Simply put, we are committed to your success! MTV, VH1, Discovery Channel, ABC, NBC, CBS, Paramount Pictures, Fox, Disney, CCTV, BBC, Warner Brothers, BGP LLC, Imagem, 5 Alarm Music, Sonocine, iSpy Music, Digital Music Consulting, ASCAP, Kandy Kiss, 89 Cent’s Direct, Rescue Records, Zen Arts Media, Imagine Entertainment, Viacom, Clear Channel, IBM, Martial Arts Channel, Full Moon Entertainment, China Mobile, David Vanacore Productions, Vault Audio, Sound Dogs Music, Warner Music, Home Shopping Network, Cartoon Network and many more….